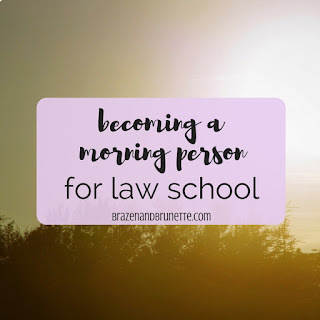 My 1L year, I remember sitting in my first class of the day at 10am feeling half-asleep and unable to stop yawning and focus. This surprised me because I was able to "sleep in" since my first class didn't start super early. But the truth was, I had stayed up too late so even though I "slept in," I still didn't get quite enough sleep and since I had just rolled out of bed about 30 minutes prior to class, my brain and my body weren't fully awake. 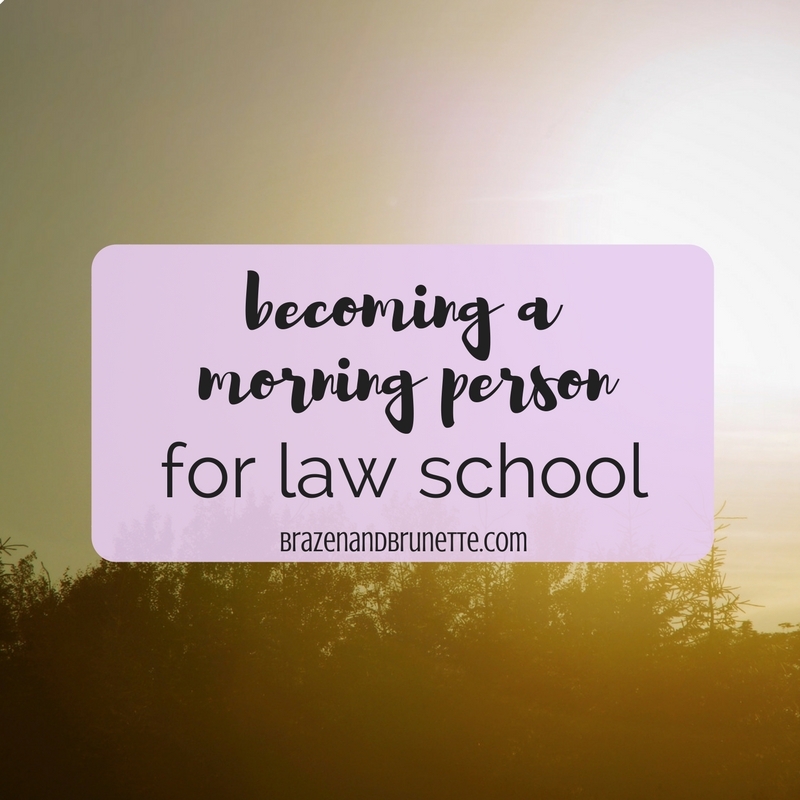 My 2L year, I got my life together and got into a routine of waking up, working out, and then getting ready for school. 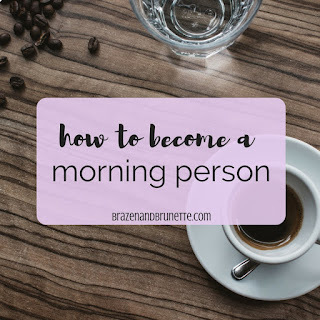 By the time I got to my first class of the day (again at 10am), I had already been up and at 'em for four hours by then so any sleepiness I had left over was long gone. This meant that I had a much higher concentration level while studying and a higher stamina for reading before needing a break. Still not sure you can make yourself do it? Here's 3 very important reasons to rise and shine a little earlier next week. You have the same hours in a day as Beyoncé. So if you're using the old excuse that "there's just not enough hours in the day," I have a tip for you. You're wasting some of your hours! This is another big lesson that I learned my 2L year. From about 10-midnight, my guess is that most of y'all aren't being very productive. I'm not blaming you I know how just flat-out tiring law school can be. And even though we know we're tired, we put off taking out the trash or other little things all day and then are too tired to do them at night so then they just get pushed aside. But in the few hours before your class starts, you're not tired and you're not rushed so you can have the time to get all of this done. Then once you get the ball rolling you'll start to be more productive in other ways throughout your day since you started off on the right foot. And then by the time you get home in the evenings there's nothing on your to-do list so you've earned couch time. Literally the worst thing ever is when you're in bed trying to fall asleep and your brain decides to guilt trip you on all the things you should've gotten done that day but didn't. But I just explained to you how waking up even just a few hours earlier will help get more of your to-do list checked off! Not only that, but you'll have a little peace of mind knowing that you'll have plenty of time to wake up and get ready for the day in the morning. Another unexpected stress-reducer of being a morning bird that I've recently discovered is how much stiller the world feels at 6am right when the sun is rising. 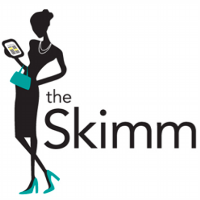 Since I have plenty of time in the mornings, I'm able to make myself a full breakfast (instead of just grabbing a granola bar), and sit outside and enjoy the day while I drink some coffee and read theSkimm. Just having this little time to myself every morning helps so much just for my mental health. Even if your first class starts at 8am (or maybe even especially if you have an early class), waking up several hours will help you so much. You will have time to eat an actual breakfast, do your hair and makeup without rushing, and even get some last minute reviewing in all before your first class. And what I've found is that I'm much more productive during the day when I get started early than when I sleep in and feel overrushed to get my life together before the attendance sheet is passed around. Once your body gets in the habit of falling asleep and waking up at the same time every day (more on that later), you'll probably notice that the quality of your sleep improves. That means that even later on in the day you're not nodding off in class because you're body is fully rested. What helps is that if you live in a college town, practically no one is up at this hour so you're not being awaken an hour before your alarm because your upstairs neighbor has an 9am but lets the alarm go off for a good 30 minutes. After the freedom of college where you could stay up to 2am every single night because you have no parents to tell you not to, it's time to parent yourself and go back to a bedtime. If you are going to wake up earlier, you're going to need to be going to sleep at an earlier time. Waking up at 7am might sound impossible, but it's actually pretty easy when you've already had nine hours of sleep that night. At first it will be hard for you to go to bed earlier than usual because your body won't be ready for sleep. My tip is to use the same methods to fight off jet lag- immediately adjust your daily schedule to what you want it to be. So for example if you usually go to bed at 12 and eat supper at 8 but you want to be in bed by 10, then adjust your schedule so that you're also eating at 6. Your body will realize that you ate 4 hours ago and will continue its rhythm of eat + 4 hours = sleep time. Another tip is to use the toddler trick- where you turn off all the lights and get in bed (no phone) and trick yourself into thinking okay it's sleep time now. If you keep up with a consistent bed time then your body will start to follow. Yes, this means that you're going to need an alarm clock. Get in the habit of never snoozing it and make yourself at least sit up in bed when it first goes off. If you notice that you're still feeling tired then go to bed earlier instead of sleeping in later because your body likes consistency. Three days a week, I have to be at school/work by 9am. The other two days, I have until 11am before I have to be anywhere. But I still wake up at the same time every morning. If your sleep schedule changes depending on your class schedule, then you're going to wake up feeling still half-asleep every other day. And once your body gets used to waking up at the same time every morning, you'll notice that you will start naturally waking up even before your alarm because you're fully rested and ready to go.